Being a religious and spiritual place, Muzaffarnagar is an important hub for the travel and tourism sector as well. A number of sacred temples and shrines make the city of Muzaffarnagar an important place for tourism. During the festive season you can find hordes of religious devotees and pilgrim flocking this city especially during the Shivratri and other important festivals. 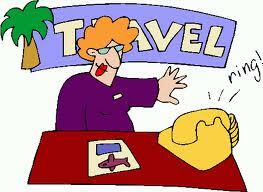 Owing to a huge rush during the peak time, the demand for travel agents simply goes up. The visitors prefer the agents, who are well versed with these locations along with having some of the best option to move around the city. The travel agents also take care of booking reservation tickets for trains and bus moving in different direction, hence approaching these people is a good idea.